Stainless steel is the defacto finish for those looking to update their kitchen style with new appliances. 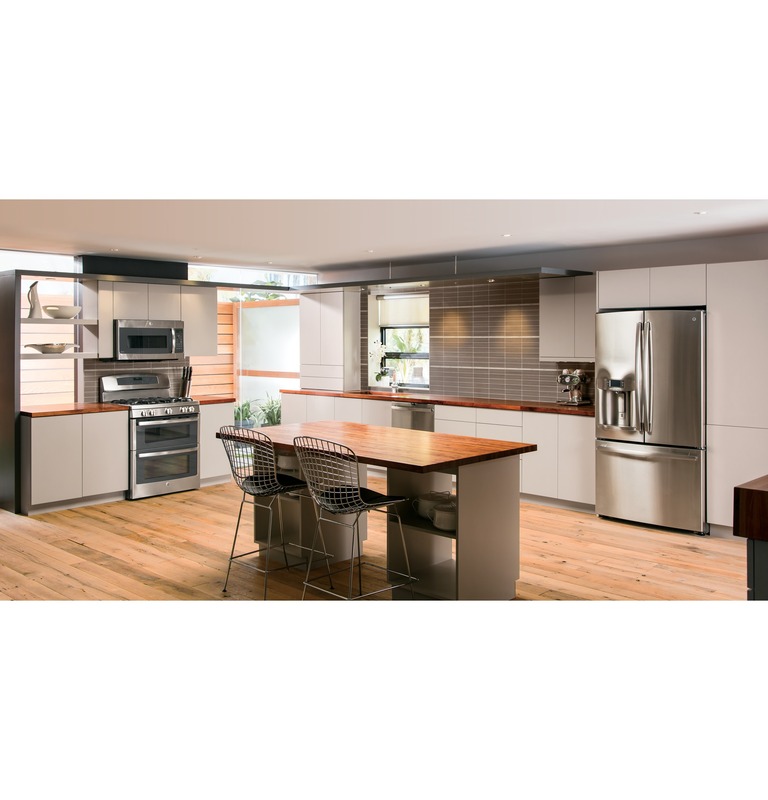 With its elegant and modern appearance, stainless steel is a perfect neutral tone that can fit into almost any kitchen design, from sleek and metropolitan, to rustic and farmhouse. Stainless steel has some unique cleaning characteristics. In order to keep your appliance looking like new, we recommend cleaning your stainless appliances with CeramaBryte® appliance cleaner. Black is another popular appliance finish. GE Appliances offers a full line of black appliances.